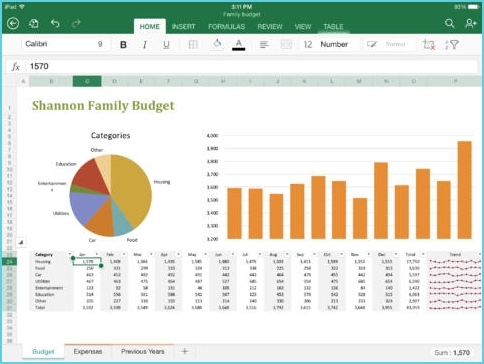 Microsoft finally released the much awaited MS-Office for iPad and it comes with three separate apps including Word, Excel and Powerpoint. The apps designed especially for touch user interface and also it comes with Ribbon interface similar to Windows desktop version. The iPad version has all the features of desktop version and more than iPhone version. 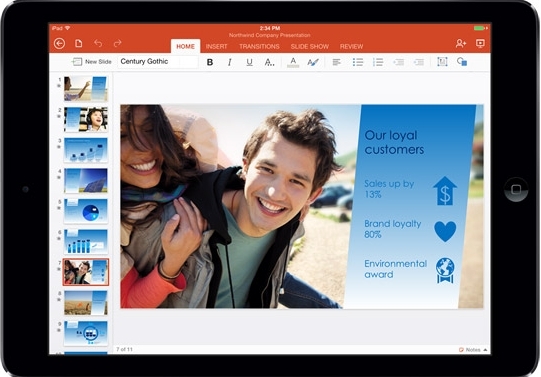 Office for iPad app is free to download and you can view any Office documents and present Powerpoint presentations. But editing and creating documents requires an active Office 365 subscription. The app syncs with OneDrive cloud service so you can access and edit documents from anywhere like PC, tablet and mobiles. You can save and download the documents from the cloud. There is also some iOS features packed including voice dictation and Airplay support. Users can get one month free trial and then you have to subscribe for Office 365 to use it. The Office 365 subscription is now available for Rs.420 per month or you can go for Rs.4199 for annual subscription. Microsoft also promised Office for Android will be launched soon.